The French adventure is over, I’ve had enough of horse meat and frogs legs. I had an offer to stay in France with Monaco, however I’d been with two clubs in France so I thought moving to a new country was for the best to keep this interesting for me. Not much point in spending three years in one country with three different clubs. The previous season wasn’t horrible, but the end to the season was. They only won 3 of their last 13 games, 4 of those games ended in a draw. It pretty much cost them Champions League football. They finished 21 points behind second placed Barcelona and 38 points behind Real Madrid. The squad were actually pretty good. The middle of the part, where a lot of my players sit, was strong. Pizzi had signed Rodrigo from Benfica last season which was a good buy in my opinion. Defensively, we have four centre backs, the star of which is Semih Kaya. Not the tallest, but he’s strong and can read the game well. 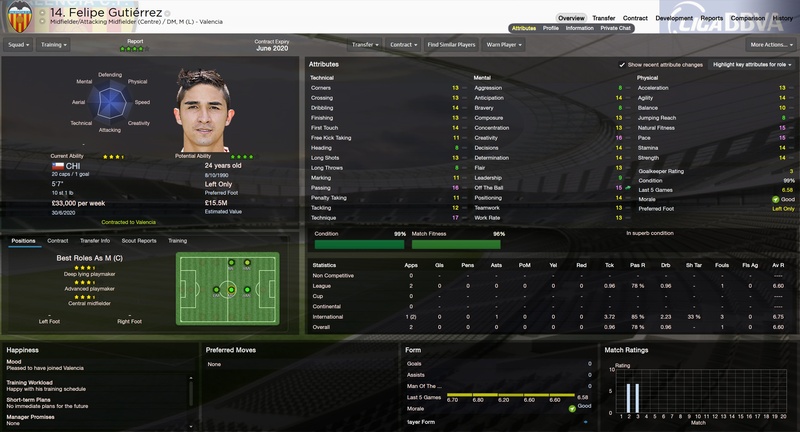 Pizzi also signed Javi Manquillo from Atletico Madrid, whom I rate highly in this game. I’ve had him at a few clubs and turns into a great player. Paco Alcacer is the other star of the show here. He’s going to be my Deep Lying Forward. This role has scored lots of goals for me in my previous seasons, so I expect much from him. The board has given me almost zero money to play with. The budget was £3.4m but as we were spending over that, I ended up swallowing up that budget. Damn! Nevermind, we’re a few seasons in so there should be some good free’s? Not really. Isaac Cuenca was already on his way in for free from Barcelona. I needed cover in midfield. 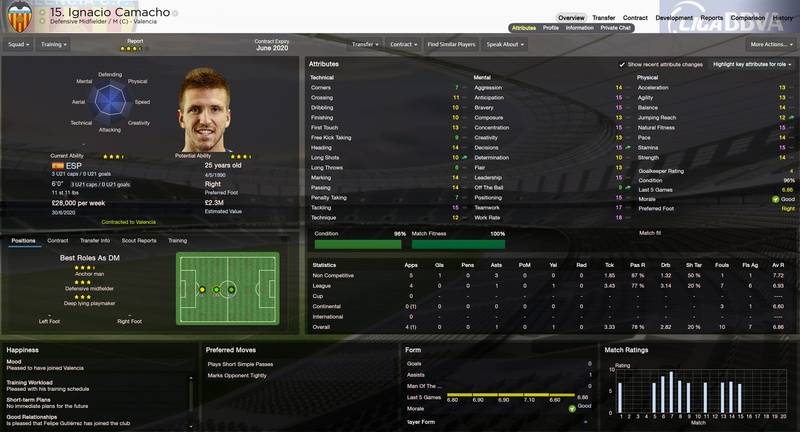 Ignacio Camacho was free and I snapped him up to play the Box To Box midfielder role. I got Mario Pugliese on loan from Liverpool and will use him in the cups as Keita is getting a bit. Banega wanted out, then he wanted to stay.. but I made my mind up that he was going. Shakhtar paid £9m for him and that was £2m over his valuation. Done deal, as he only had 12 months to go on his contract. A replacement needed to be found. Chilean Felipe Gutierrez from FC Twente fitted my search filter. Got him for £10m, which was a little pricey, but I reckon he’ll boss the midfield and at 24 years old, there’s still plenty of years left in him. He joined just before transfer deadline day. So, the Spanish adventure begins. 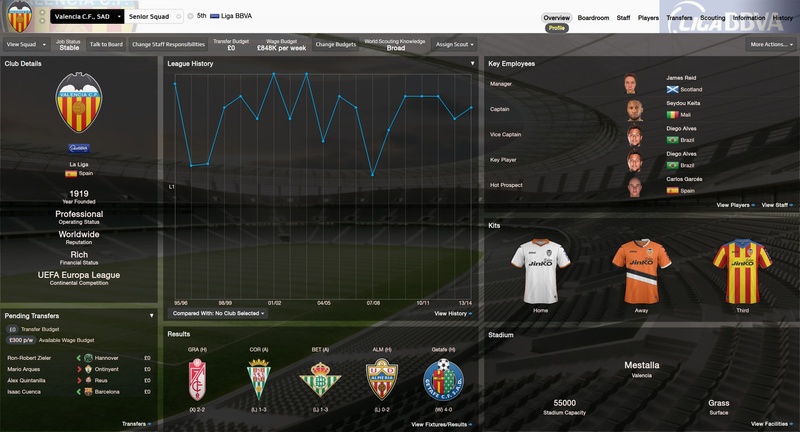 In my next update I’ll post about my first league game against Granada game and my results so far in the campaign. 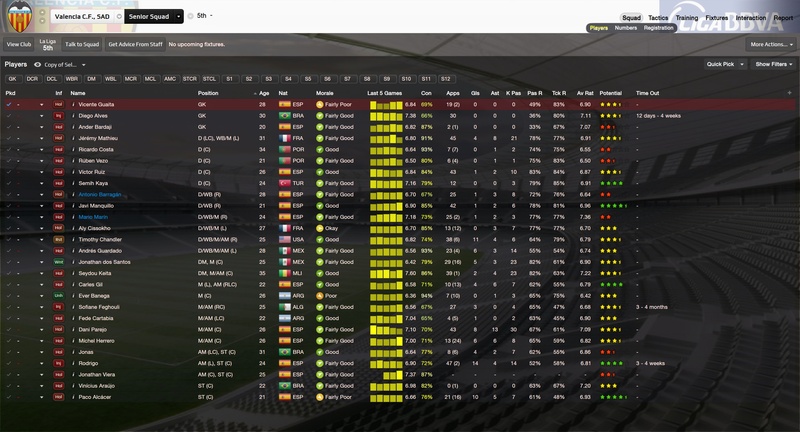 FM19: The Final Wisla Update?